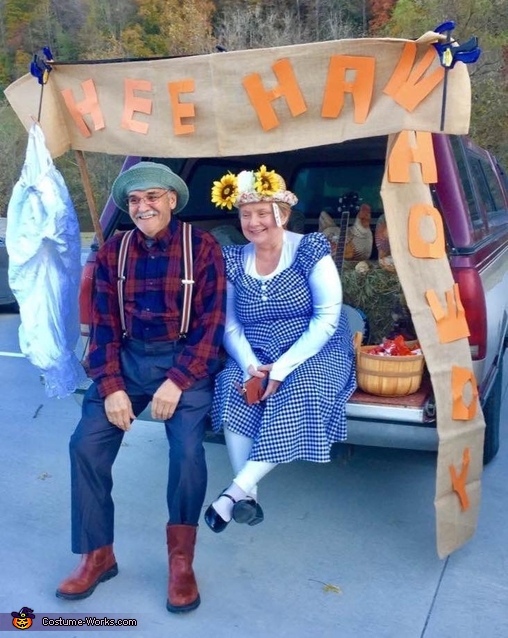 My husband Vernon and I came up with this ideal for our church Trunk or treat. Decorating pickup as Hee Haw background . I ordered for him suspenders and hat. For myself a checked dress and patent leather shoes. Added flowers and a price tag to hat. Wore white tights and leggings because the weather was cool. And we had it. Removed lens from sun glasses for Grandpa.